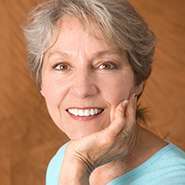 When it comes to replacing lost teeth, there are several options available today – but none are as effective, as revitalizing, or as seamless as dental implants. While traditional services only bother with replicating the crown (the white portion) of the tooth, implants rebuild the entire structure, which keeps the patient’s jawbone healthy and ensures a solid, permanent fit that feels completely natural. At Bell Dental, Dr. Kenneth Bell and Dr. Steven Kaebnick are happy to offer the entire implant process here in-office for a more comfortable, streamlined experience overall. Contact our Louisville, KY location today to schedule a consultation! A commitment to practice diligent oral hygiene and undergo professional maintenance when needed. If these conditions aren’t met, additional treatment may be required before the actual implant procedure can begin at Bell Dental. Once our doctors have determined that you’re a strong candidate for dental implants, the first step towards a newly complete smile is their surgical placement. Because implants replicate the “root” of your natural tooth, they have to be inserted into the jawbone so that they can bond with the natural tissue and provide necessary stimulation. Instead of involving inconvenient outside specialists, we’re happy to personally handle this portion of your procedure in a convenient and friendly environment you’re already familiar with. 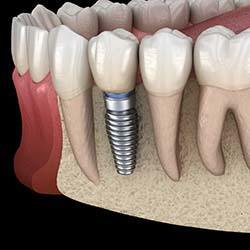 Once the implants have been surgically placed, the bonding process occurs over a significant period of healing time. Then, it’ll be time to create and attach new, custom restorations on top. In cases of single implants, our Louisville doctors provide all-ceramic dental crowns, which fit alongside natural teeth with very little modification necessary. 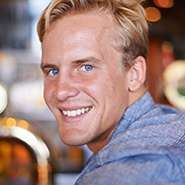 When faced with multiple implants and a more extensive area in need of reconstruction, individual dental crowns can quickly become too involved and costly. Thankfully, implant-retained dentures are available to provide quality coverage at an affordable price. These appliances are very similar in appearance to traditional dentures and bridges, but they actually attach into place over your new implants, creating a much more solid fit that feels natural. Depending on your level of oral health and personal preference, we’ll recommend either a fixed or removable option. 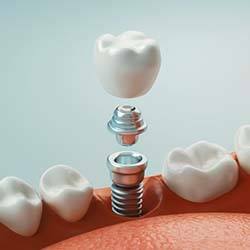 Convenience – Implants can be treated just like the rest of your smile, meaning that no changes to your diet or oral hygiene routine are required. Quality – Dental implants appear and function so seamlessly that many patients forget that they’re not natural teeth after some time has passed. 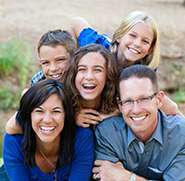 Revitalization – By replacing the roots of your natural teeth in addition to the visible crowns, implants restore oral health and help patients avoid dreaded jawbone deterioration over time. Longevity – With the right amount of homecare and professional care, dental implants can last for the rest of the patient’s life.